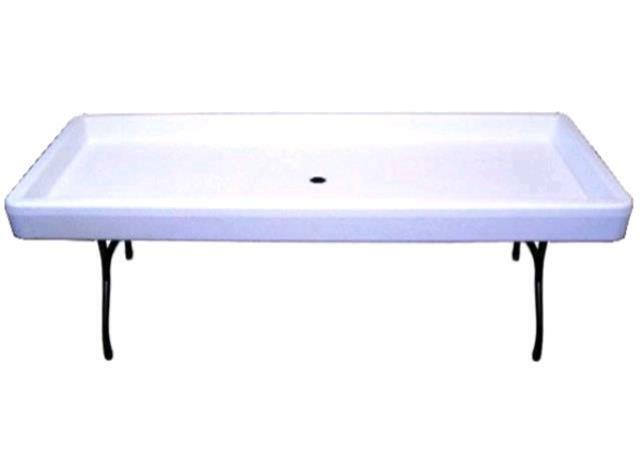 The 30"x72" (2.5'x6') rectangular ice table is a perfect way to store your beverages or iced dishes for your next event. It has a central drain to let the melted ice drip out, so you will need a small container for underneath the table. 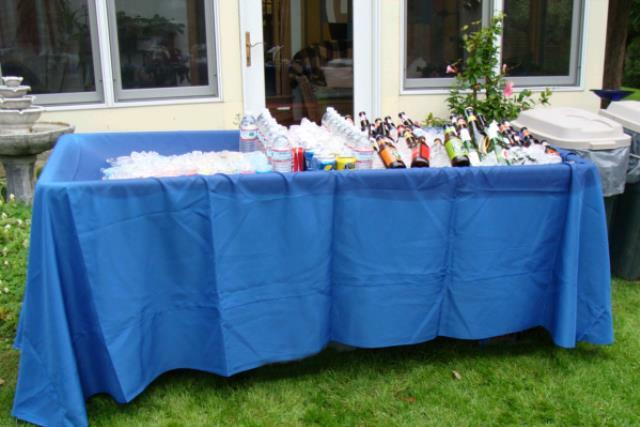 * Please call us for any questions on our ice table 30x72 in Concord, serving all of New Hampshire, including Manchester, Canterbury, Loudon, Hillsboro, and Northwood.